The CBD market is projected to hit $20 billion in the coming years due to its natural healing properties in a variety of health conditions. Research suggests that CBD may have positive effects on sleep quality, mood, and the immune system. 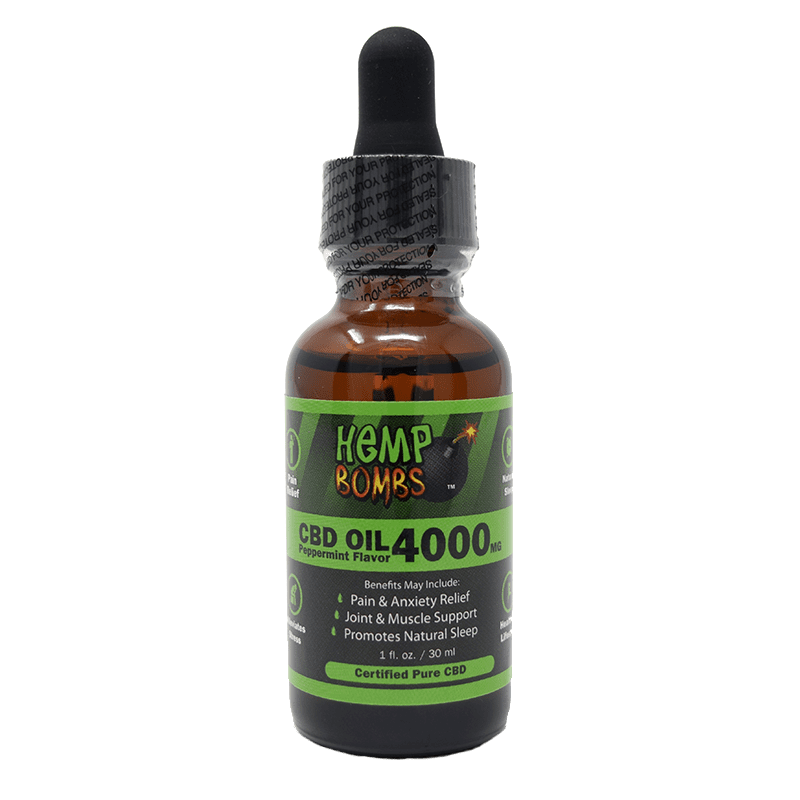 The Hemp Bombs CBD Oil benefits list continues to grow as more research is completed. Millions of people are benefiting from the natural health benefits that CBD Oil can provide. CBD, or Cannabidiol, is a compound present in Hemp and Marijuana plants. Hemp plants are high in CBD but low in THC, or Tetrahydrocannabinol – the compound in Marijuana responsible for causing a “high.” Conversely, Marijuana plants have less CBD and up to 35 percent THC. 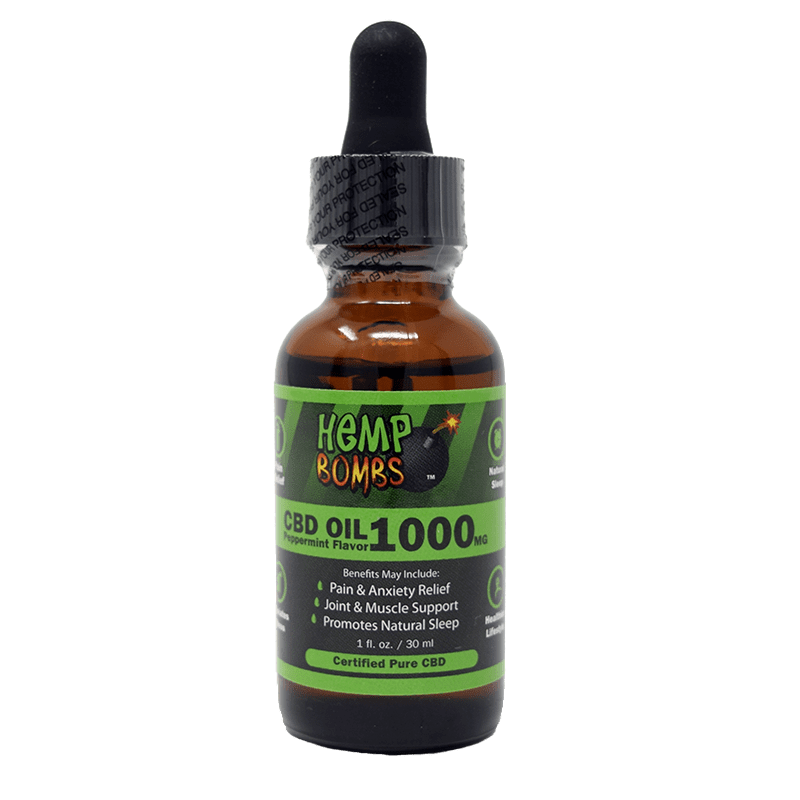 At Hemp Bombs, we extract our CBD from premium Industrial Hemp grown in the U.S. with environmentally friendly, sustainable methods. Using a CO2 extraction method, we produce 99 percent pure CBD isolate, free of other cannabinoids, or chemical compounds, present in the Hemp plant. CBD is effective because of the Endocannabinoid System (ECS), a network of receptors and molecules responsible for maintaining homeostasis, managing pain, and regulating immune system function, mood, and sleep. The ECS responds to natural cannabinoids produced by the body, as well as plant-derived cannabinoids like CBD. Unlike natural cannabinoids, CBD does not bind directly to ECS receptors; instead, it interacts with other molecules to cause a change in the body. CBD may provide long-lasting benefits and an overall wellness boost. 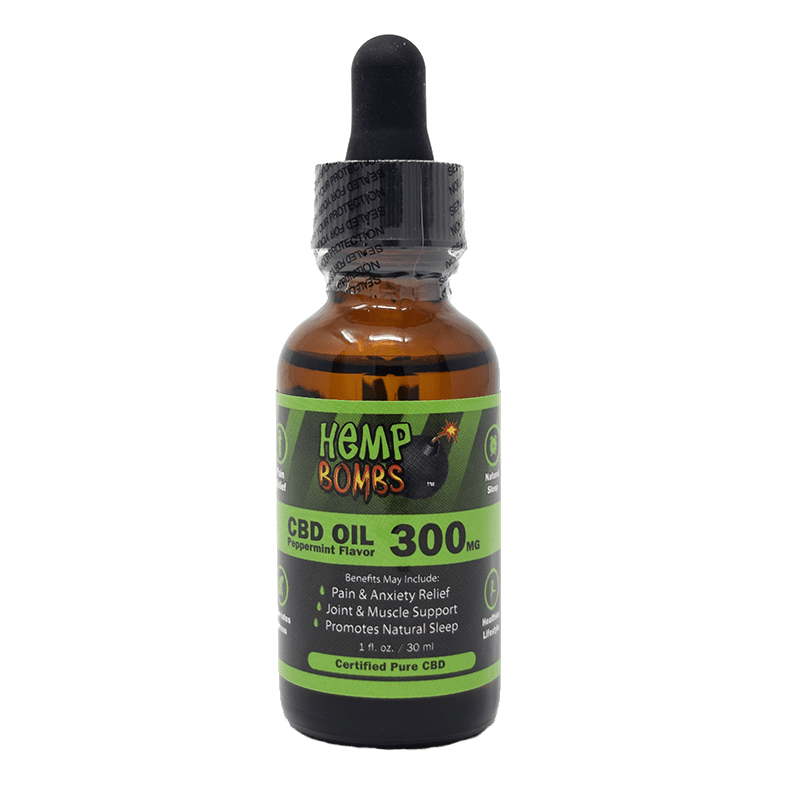 Hemp Bombs CBD Oil, also known as CBD Tincture or Hemp Oil, is comprised of CBD isolate, MCT Oil, and Grape Seed Oil. This product is taken sublingually, or under the tongue, because the tissues in this area allow for quicker absorption. For best results, hold 15 to 30 milligrams of oil under your tongue for 15 seconds. 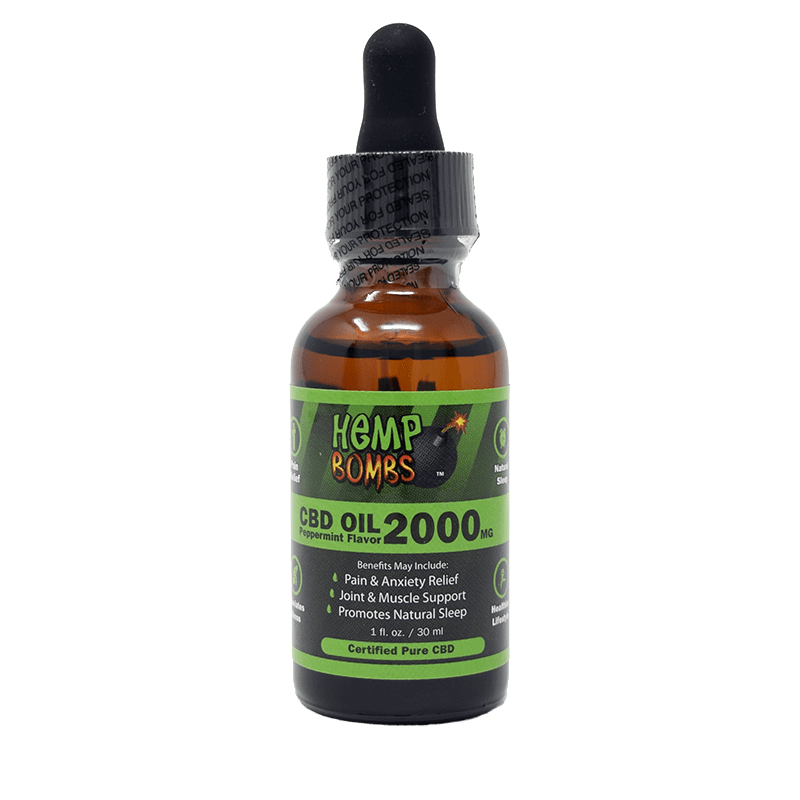 We offer our CBD Oil in a range of potencies from 300mg to 4000mg in two delicious flavors – watermelon and peppermint. The list of CBD Oil benefits is diverse and widespread. CBD Oil may work as a powerful daily supplement – perhaps stronger than Vitamin C and E. Antioxidants bind to free radicals (molecules with unpaired electrons) in the body. When free radicals outweigh the antioxidants in the body conditions like cancer and heart disease are more likely to occur. The antioxidant properties of CBD Oil may also protect the skin from environmental factors like UV rays and airborne toxins. Anti-inflammatory properties of CBD aid in pain relief. Upon entering the system, CBD binds to overactive immune cells to create caspase. Caspase influences overactive immune cell death to reduce inflammation. The reduction of inflammation and swelling may ease pain and promote comfortable sleep. Research on CBD is constantly evolving, and the CBD Oil benefits list continues to grow as a result., CBD Oil has provided relief for those with anxiety, short-term and chronic pain, the side effects of chemotherapy, and acne. Anxiety - A study by Washington State University found that CBD can significantly reduce short-term levels of anxiety. Many traditional medications for treating anxiety can cause unpleasant side effects including headaches and insomnia. These medicines can also be habit-forming furthering health complications. CBD Oil may provide possible benefits without common side effects. Pain Relief - One common benefit of CBD Oil is pain relief. CBD may increase the levels of anandamide, a “bliss” molecule in the system to reduce pain sensation. The anti-inflammatory properties of CBD may reduce swelling and pain caused by inflammation. This pain management may help provide better sleep quality. Side Effects of Cancer Treatment - CBD has been found helpful in reducing the severity of chemotherapy’s side effects like nausea, vomiting, and pain. Because of its effectiveness in controlling cellular reproduction, researchers are looking into the use of CBD in treating forms of cancer; however, no conclusive evidence is available yet. Acne - Acne is a prevalent skin condition with several possible contributors including genetics, bacteria and excess oil secretion. CBD works with the Endocannabinoid System to balance the production and secretion of oil. The anti-inflammatory properties of CBD Oil may reduce redness and clear the complexion. CBD Oil mimics the skin’s natural oils, making it an ideal moisturizer for dry or oily skin. Hemp Bombs CBD Oil may provide you with a wealth of benefits. This natural compound can be integrated into your daily routine like any vitamin. The more you use CBD Oil, the more powerful and long-lasting the effects. Researchers are continually adding to the CBD Oil benefits list, gaining insight on how to implement this natural compound into different treatment plans. Read for more ways that CBD Oil may benefit you.